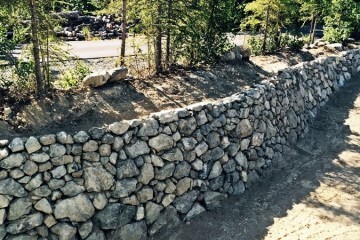 Rock Landscaping is committed to setting the standard for all your home landscaping and construction projects. Proudly serving Anchorage, Eagle River and Wasilla for over 25 years. source for the highest quality landscaping services in Alaska. 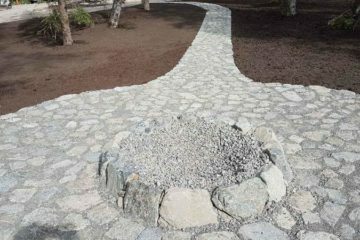 At Rock Landscaping, we are fully insured and bonded, and fully committed to providing quality without compromise on every job, big or small. Whether you're looking for residential, commercial or landscaping and construction, count on us for prompt and professional service. For more information or to receive a free design consultation and estimate, give us a call today, and find out for yourself why our customers come back to us for all of their home landscaping and construction needs. We purchase our materials directly from the manufacturer and pass the savings on to you. We have over 25 years of experience in the landscaping industry. We will never add any hidden or charges - the initial quote will be the all-inclusive end price. Call (907) 717-9717 today for a free consultation!